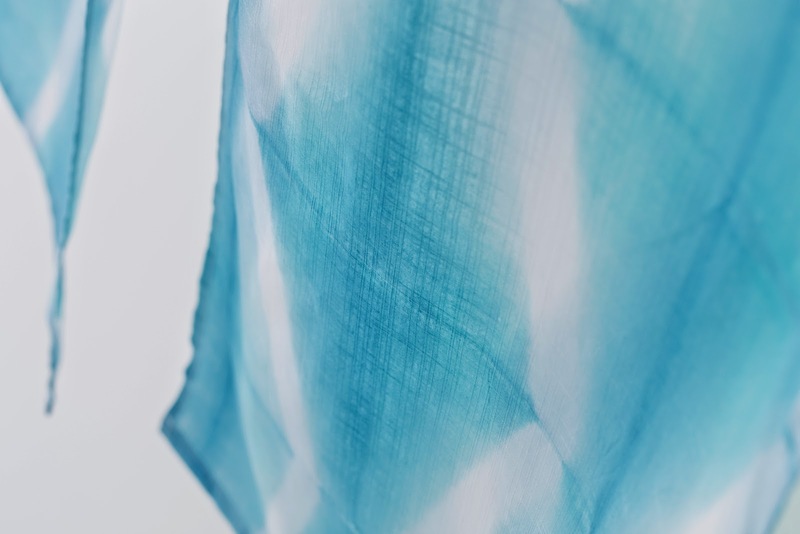 This is the second part of Noren fabric dyeing process. After it is dyed, the color becomes very durable and resilient to laundry. After dyeing the base, he takes off the wood binder. You can see the bound part is not dyed. He changes the direction of the wood binder to dye the white part. The tool that he is using, he made himself for this purpose. All the process is done by hand. The third round of dyeing. As you can see, he spends a lot of time with his back bent and it is quite a tiring process. I do respect his work! More varieties of his work is coming soon!